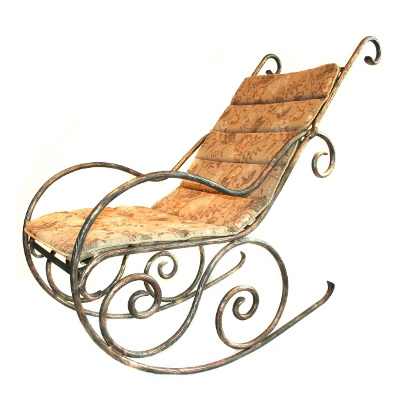 A comfortable rocking chair. 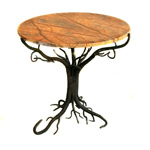 Metal elements are painted bright brown and gold, giving it the appearance of tree's bark. 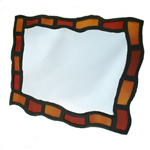 The fabric used is available in many shades. 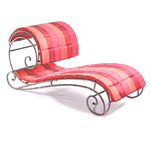 Decorative cushions make a fine addition and are included on request. 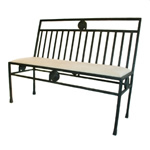 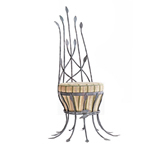 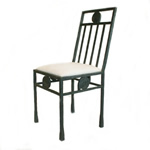 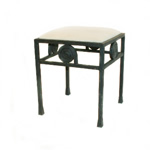 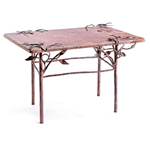 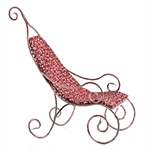 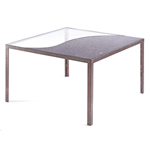 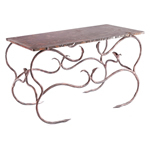 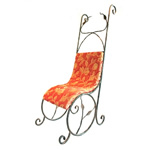 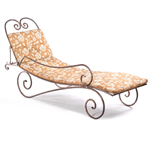 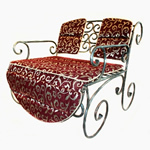 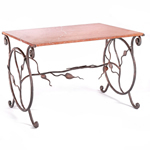 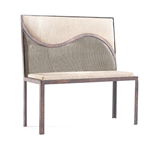 Nature-inspired, recycled wrought-iron furniture. 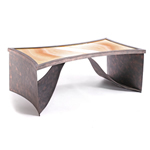 The central aspect of the designers creative culture is the handcrafting of everything they produce.